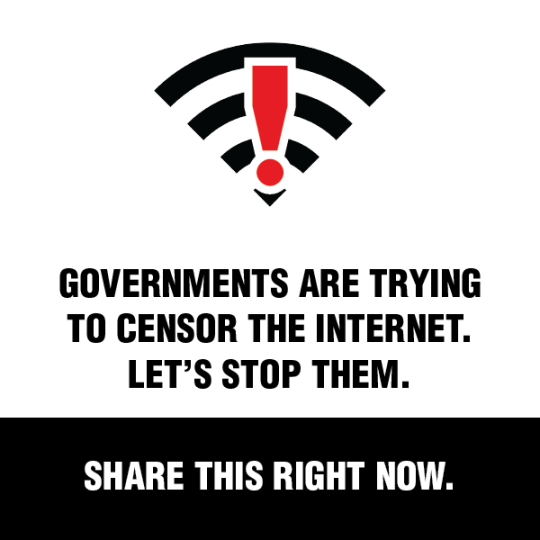 Join the Internet Vote to stop the government from Fast Tracking censorship! We’re organizing the Internet Vote on April 23rd to give Internet users everywhere a voice against the Trans-Pacific Partnership, a secret deal that could lead to global Internet Censorship. Sign up here. If you feel like every week there’s is always another looming threat to the future of free speech on the Internet, it’s because there is. The root of the problem is that too many decisions that impact Internet freedom are made by government bureaucrats and corporate lobbyists behind closed doors and without public input. Right now, U.S. Congress is planning to pass a “Fast Track” bill that will make this situation even worse by ramming through secret agreements like the Trans-Pacific Partnership that could lead to more censorship and less privacy online. We think Internet users should have a voice anytime there’s a major decision that impacts our rights. So we’re organizing an Internet-wide vote on April 23rd to stop “Fast Track” and give Internet users a voice. Will you join? This is that do-or-die moment. But if we win, it won’t just slow down the Trans-Pacific Partnership, it will send a message to those in power that they can’t mess with the Internet. Ever. The parties are split on Fast Track – which means if we as Internet users weigh in en masse, we can tip the scales and stop Fast Track for good. The TPP has pieces of every bad Internet policy we’ve ever fought against, and if it passes now we’ll be kicking ourselves for decades, fighting uphill battle after uphill battle on copyright reform, whistleblower protections, and so much more. Let’s not let that happen. P.S. Senator Ron Wyden continues to be a key figure in backroom negotiations about “Fast Track.” Please take three seconds to tweet at him today or call his office: (202) 224-5244.